It is often referred to as eyebrow embroidery, feathering, and micro-stroking. Feather like strokes are drawn onto the brows with a hand tool instead of machine. The pigments are deposited into the upper layer of the dermis, making it shallower than traditional permanent makeup technique. The results are more natural looking, hair like strokes that complement the existing hair. This method is ideal for those who are looking to change up their eyebrow shape, make their brows fuller or for those who are suffering from hair loss conditions such as alopecia. We ask our clients to stop taking any blood thinners, painkillers, aspirins, vitamin e and fish oil supplements 5-7 days before the procedure. Those on Accutane or other strong retinoids should wait after 6 months. Minimal sun exposure 1-2 days prior to proceedure. Timing for the procedure varies, depending on the client and condition of the existing eyebrows. But typically appointments could last up to 2-3 hours. Unlike many other salons, Celestial applies a topical numbing agent (included in the price) to reduce any discomfort. The discomfort level depends on your threshold and pain tolerance. The healing process, typically takes between 7-14 days. During this time, it is important to remember to let it dry naturally and not to wet the brows for at least a week. Avoid swimming pools, saunas and intense workout. It is especially important to stay out of the sun until the skin heals. 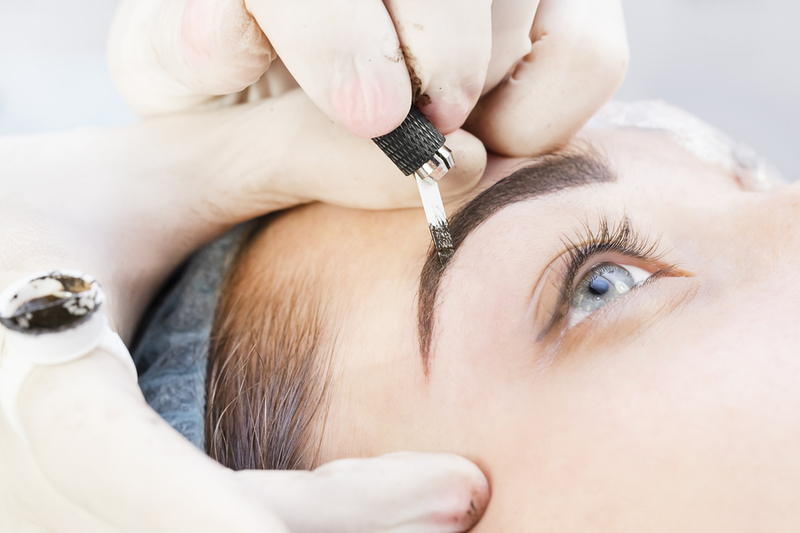 Recently some of our customers have come from all areas on Long Island such as St James, Stony Brook, Head of the Harbor, Lake Grove, Setauket, Centereach, Commack, Hauppauge and more for microblading services. Factors such as density of pigment, environmental factors (UV light, tanning), and your overall health/physiology (retention of pigment varies with each person) impact how long the procedure will last. If you have very oily skin, are a smoker, and iron deficient/anemic, pigment will fade faster. It is very important to follow aftercare instructions carefully for best results. Over time, the pigment will become softer so a color boost treatment is recommended every year.